It appears that Japanese heavy metallers LOUDNESS are a casualty of President Trump's new clampdown on foreign visitors to the United States, which has forced the group to cancel it's short April US Tour, which included a performance at this year's M3 Fesitval on April 29th. 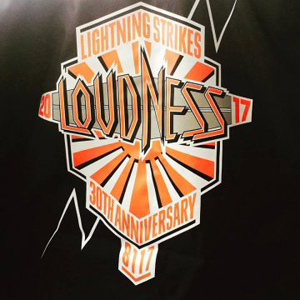 The band was touring in celebration of the 30th anniversary of the Lightning Strikes album. “Due to the new strict policies the US government has placed on foreigners entering the country, LOUDNESS was denied entry into the United States and sent back home this morning. All shows on the US tour are canceled."